Rescue Bank Wants To Go Above And Beyond For National Feed A Rescue Pet Week! National Feed A Rescue Pet Week is approaching and iHeartDogs is excited to help Rescue Bank reach their goal of funding 5 million meals for shelter pets! Rescue Bank helps make life easier for dogs in shelters. Life is hard for a pet when they’re abandoned by the people they love, but things were even harder for Addie, who was left at Save-A-Bull Rescue in Southern Arizona. Addie suffers from a rare degenerative joint disease that causes her to experience extreme pain and makes it impossible for her to walk. But Addie’s positive attitude shined through the pain. Even though she couldn’t walk she could get herself around by crawling from place to place. Still, she would need more than average care to live a normal life. Save-A-Bull Rescue benefits from the donations you make to Rescue Bank. The money they were able to save because of you has allowed Addie to walk again with therapy and custom fit boots. Now she has gone from crawling in pain to running full speed with a smile on her face! This miracle would not have been possible without your support. Rescue Bank is responsible for turning your donations and purchases from the iHeartDogs store into food for animals in shelters. Your support helps shelters provide nutritious food to the pets in their care and use their funds on other necessities, like utility bills and medical care. 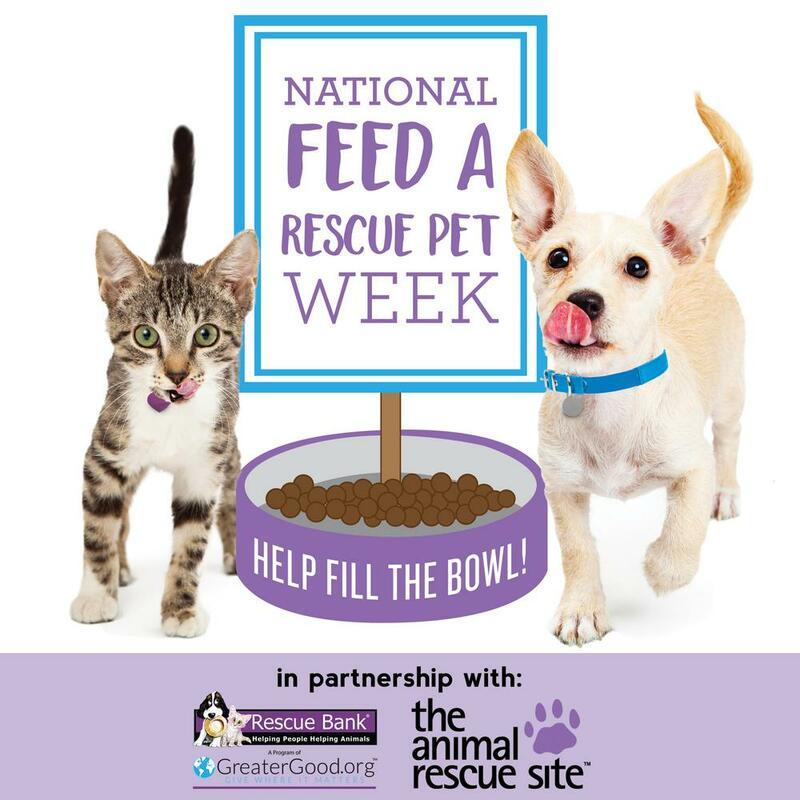 Rescue Bank is now asking for your support in reaching their goal of funding 5 million meals for pets in need during National Feed A Rescue Pet Week! You can donate and fill hungry bellies by visiting FeedARescuePet.com. Rescue Bank can turn a donation of $10 into 400 meals, but any amount you donate helps get them closer to their goal!